February 6, 2016  Posted by Jillian D.
It’s a challenge to articulate the distinct charm of the tiny, southwestern Colorado town of Telluride. This former mining town in the San Juan Mountains has become one of North America’s most popular ski and golf destinations. Thousands of people travel here annually for everything from skiing to film, yoga and music festivals. It’s a popular tourist destination because of it’s obvious alpine beauty but it’s the locals who maintain and preserve the authentic charisma of this town. 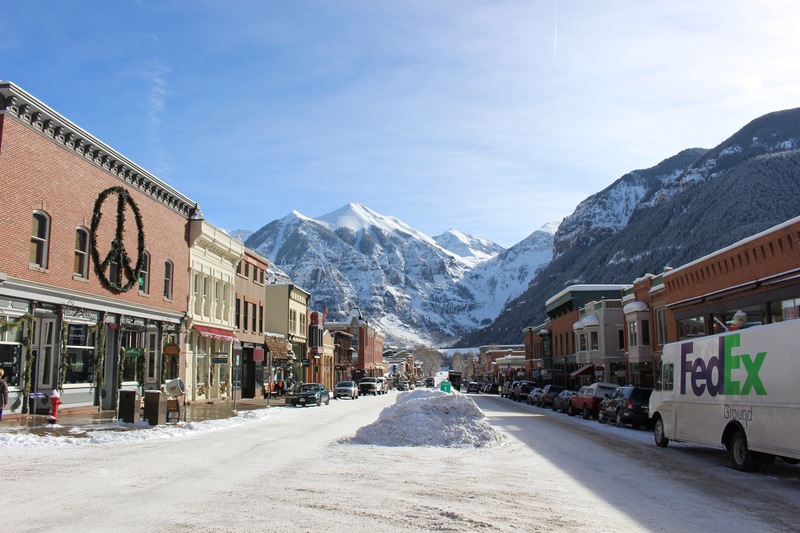 The town of Telluride is a bit of americana, shops, offices, restaurants and bars free of corporate chain stores. Telluride is also quite challenging to get to — it’s situated in a box canyon in one of the highest elevation towns in North America (at 8750 feet). In terms of food, It’s like being home on the range and offering the magic and worldliness of global cuisine. The public is well traveled and sophisticated enough to appreciate the blend. 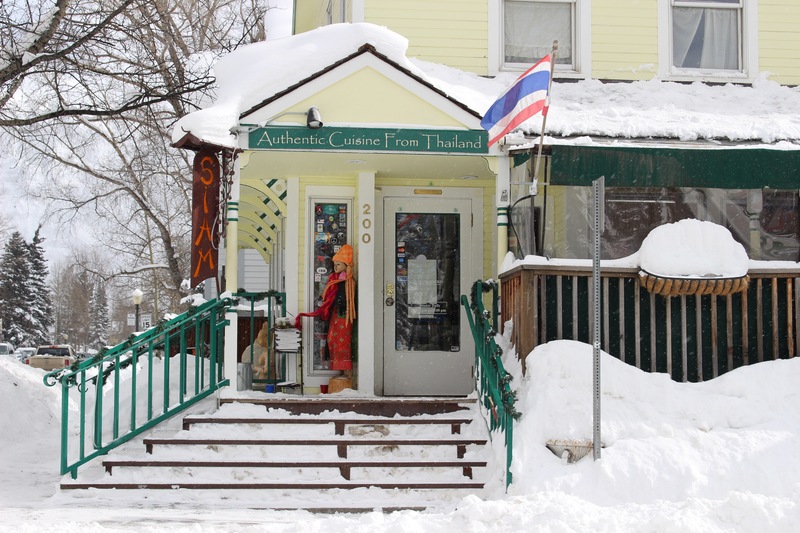 One of the local institutions is called Siam, a few minutes away from the base of the gondola. 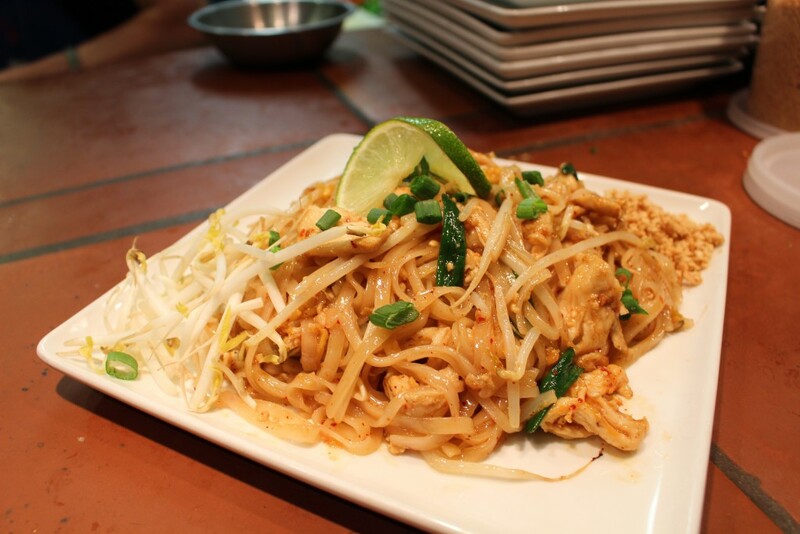 They serve well-priced, soul warming, hearty Thai fare. A dreadlocked, sunglass-clad and funkily dressed Thai statuess welcomes patrons at the front door. 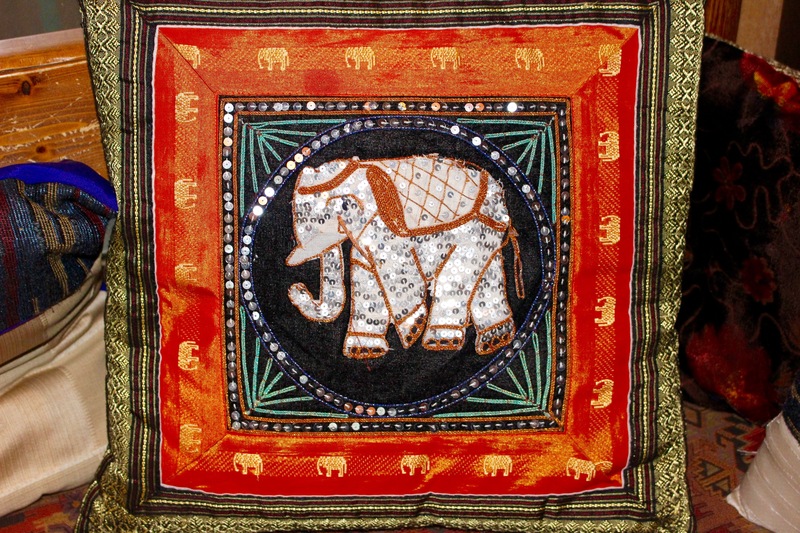 The restaurant is warm, inviting and artfully decorated with orchids, neon lights and impressive amounts of Thai merchandise — toy tuk tuk models, elephant trinkets and colorful silk and sequin tapestries. The menu is broken down into 4 sections: traditional Thai, contemporary Thai, hand rolls and lettuce wraps and house specials. 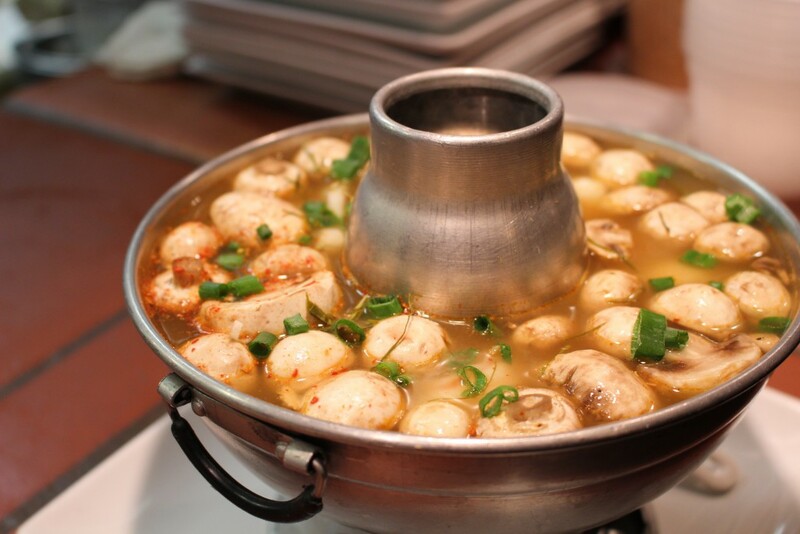 The menu is massive, offering traditional Thai dishes like yum woonsen, pad se ew and pad ka prow and “contemporary” Thai food, like choo chi ahi and penang short ribs. Owner Jeff Badger emphasizes the word contemporary, as opposed to ‘fusion.’ The contemporary menu is an adaptation of Thai food, potentially making it more accessible to someone unfamiliar with Thai cuisine. The penang short rib entree, served over a hearty parsnip puree, for example, is the chefs’ take on meat and potatoes. 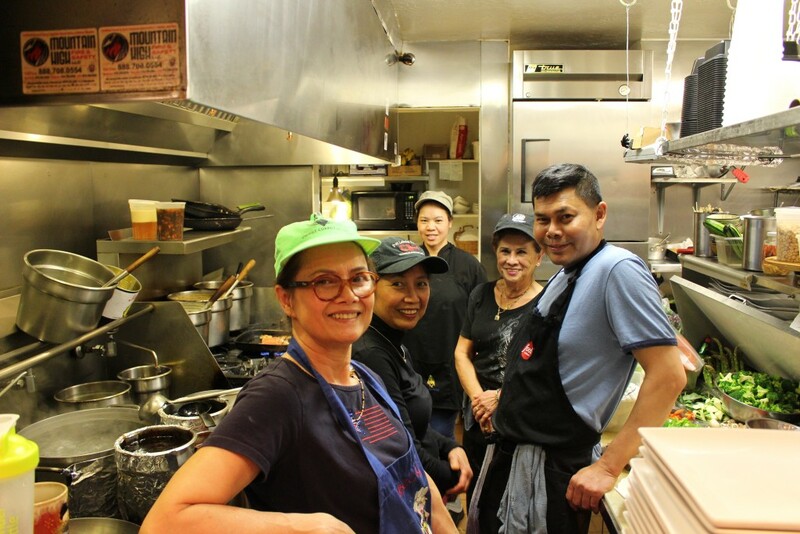 The cooks, A, Sayan, Jam Long and Wandee, are all native Thais. 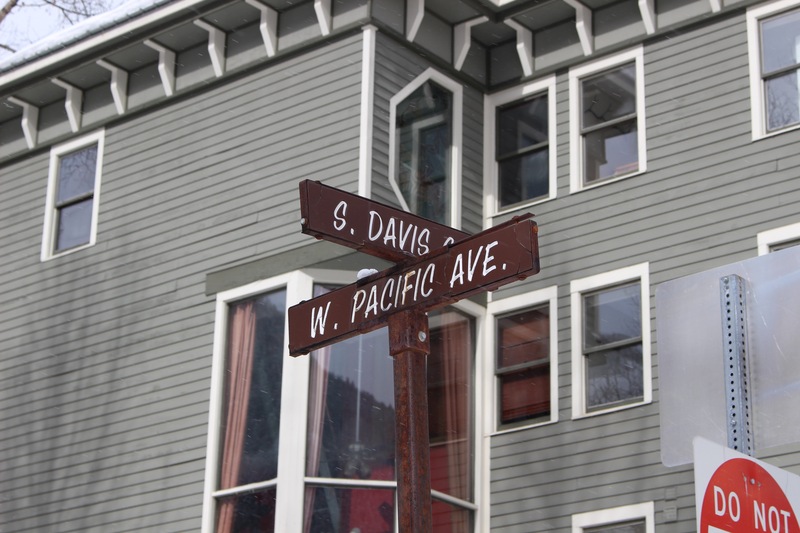 The town of Telluride has 2 small (and rather pricey) grocery stores. It’s hard to find a wide selection of different foods, let alone very specific Thai ingredients. It’s incredibly impressive that Siam can source and offer real Thai ingredients — and pay homage to a traditional Thai presentation, garnishing nearly every plate with orchids and carved carrots. They source mainly from Sysco and Shamrock Food Service and Jeff generally makes monthly trips to Denver for items that they don’t stock, like palm sugar. 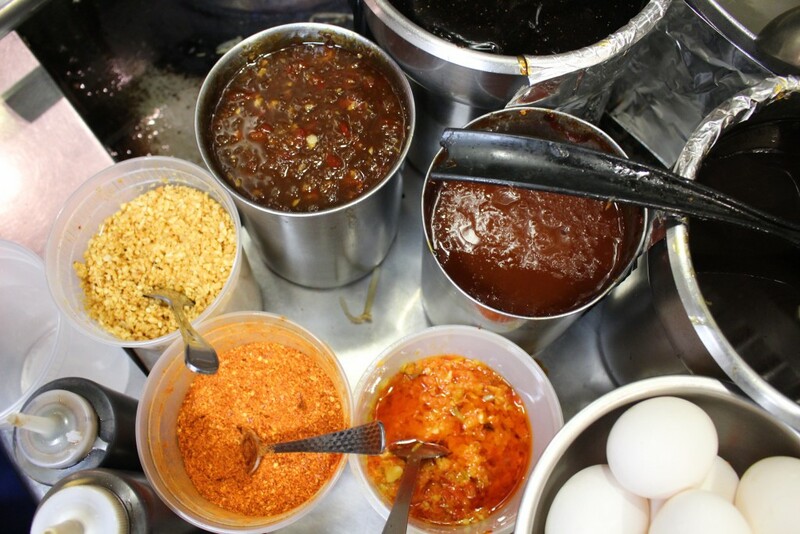 Shamrock Food Service specializes in Asian food and stocks several varieties of soy, oyster, chili and fish sauces with brands like Mae Ploy and Golden Mountain Sauce. Jeff, his wife Surung (from Chiang Mai, Thailand) and daughter Molly run the show, often seating 5 turns on a busy night. 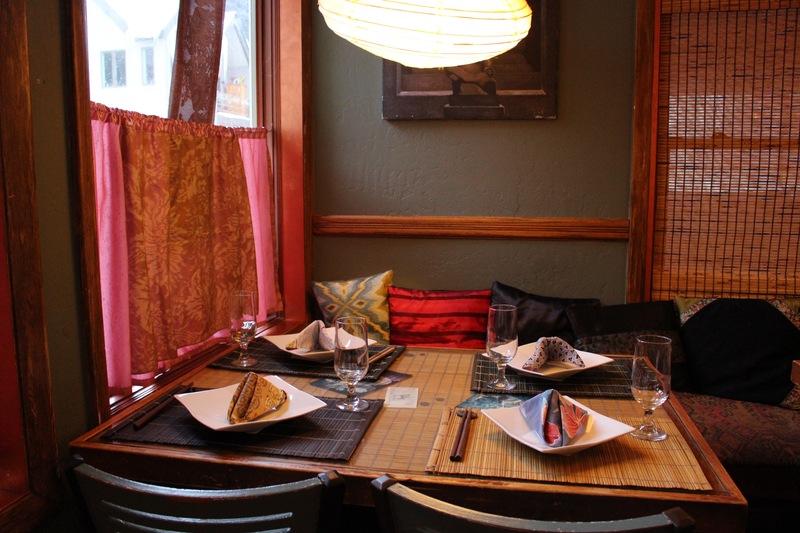 Always a lively scene, but also always consistent, Jeff and Molly insist that the sourcing, chefs consistency and staff continue to draw crowds to this funky Thai restaurant in arguably one of the coolest towns in Colorado. 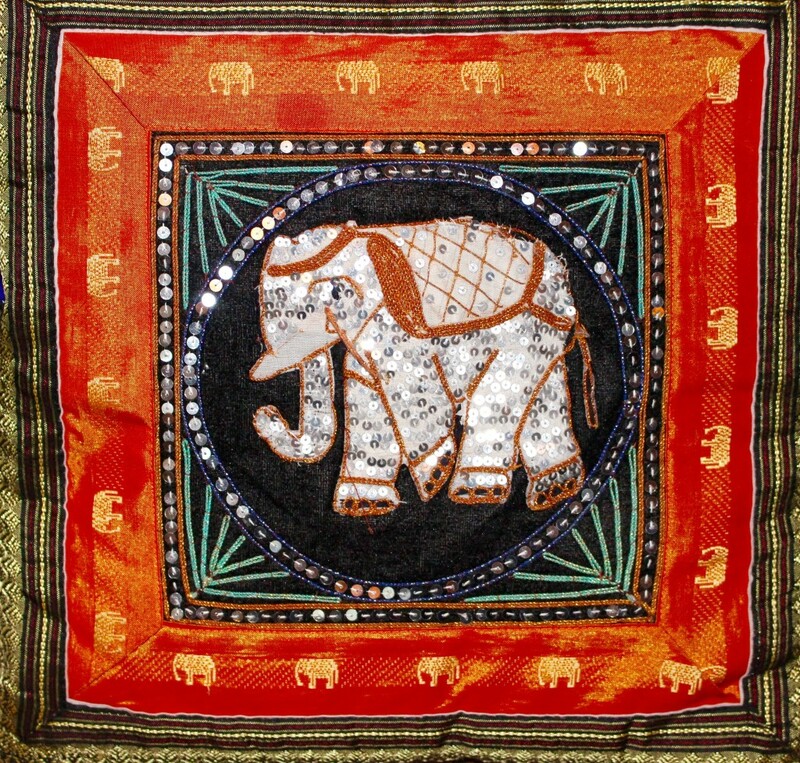 Jillian is North's wife and writer, she's qualified to write about Thai cuisine after eating his Mother's homemade Thai food for a decade and annual trips to Thailand, not to mention hwe endless all-borough Thai restaurant tours in New York City. She has a corporate job that's not exciting and is also a certified yoga teacher. Jillian, North and their sweet dog, Habibi, live in New York City...and Telluride currently.